The bathroom tap is made of solid brushed stainless steel and is operated by means of a separate lever. The tap's technical finesses include a limescale-resistant aerator and a ceramic cartridge which, with a minimum of maintenance, together ensure a drip-free tap and an even flow even after many years of use. 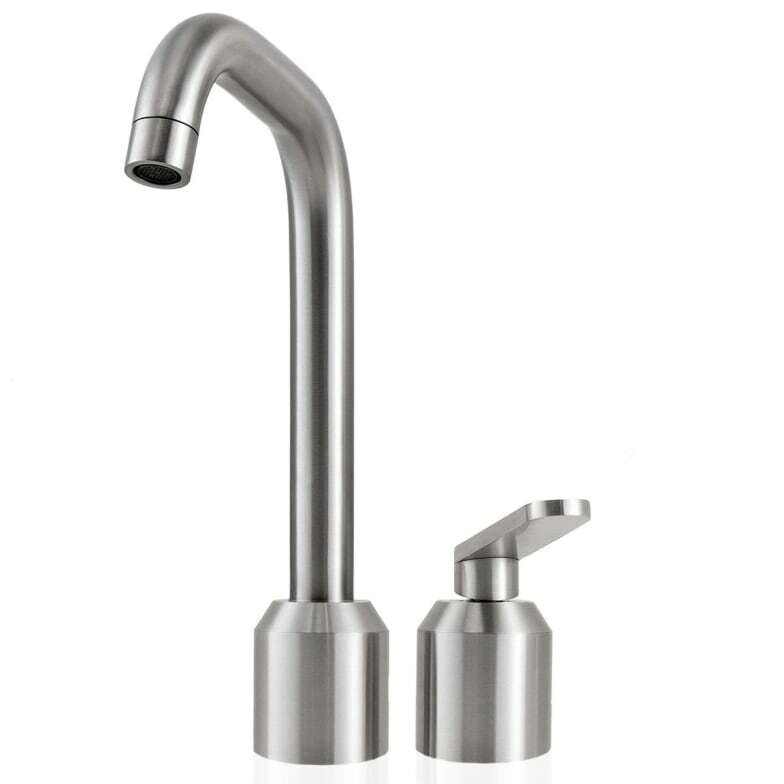 The tap features a swivel spout. Lime stains on stainless steel can be removed with warm soapy water, a soft sponge and a lot of elbow grease. It is important only to use a soft sponge, or else you may damage the brushed structure of the steel surface. Do you have a question about "Vipp 906"? How can we contact you?